Jirapol Kemajaree (center), Golf General Manager at Pattana Golf Club & Resort, poses with the 4 first round winners. 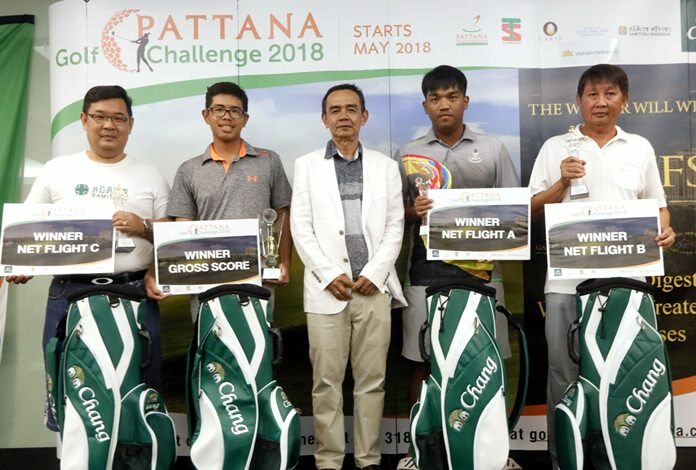 Pattana Golf Club & Resort held the first of its Golf Challenge 2018 series qualifying rounds on Sunday, May 13. A total of 167golfers attended the event, all striving to achieve a place in the final later this year and earn a chance to win an all-expenses paid golf trip to Vietnam. The winners from the first round were Kosit Kunnawong (A Flight) with a net 68, Chanchai Tharnna (B Flight) and Vichit Panayingpaisarn (C Flight), both with net 70s, and Pongwan Pongthas who shot the low gross of 72. 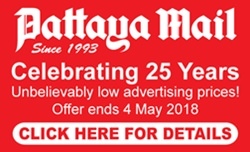 The next qualifying round will take place on June 24 and the entrance fee is 1700 baht. For more information, call 038 318 999 ext. 11230 or visit www.pattana.co.th.